We tried to search a bit on our ground over what the “innovative” term might mean and found that Chinese tech blogs and writers have different opinion on the declared graphic drawing of the device from the very early stage. It resembles from the early engineering verification phase. Thankfully, insiders also gave some piece of information which are no extraordinary but could be believed. We are sharing it with you. The upcoming alleged Note8 will sport either the Snapdragon 835 or an Exynos 9 series chipset. If Samsung wants to increase its sale in US, it will have to employ Snapdragon 835 while a true 9 series hasn’t been announced yet. 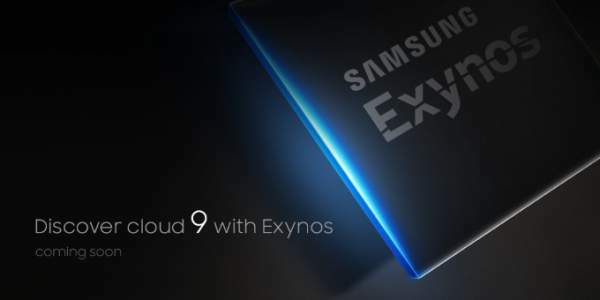 The only thing which we could see on the LinkedIn profile of a testing engineer is a listing of mysterious Exynos 9810 processor. The last Exynos used by Samsung was the 8895, and that’s what expected to support the upcoming Galaxy S8 when it hits the ground. As per Samsung press, when it came to light, it is a part of 9 series and but its model number is not 9xxx so the Note 8 could arrive with a more scooped up chippery than S8. According to PhoneArena, the note 8 could have 6.4″ super AMOLED panel with the 4k resolution which is 3840×2160 pixels but keeping the above graphics in mind, the Note8 could be an upgrade version of Galaxy S8 schematics. It could have 3D touchscreen. It probably means that the Samsung could follow the expected 18.5:9 aspect ratio in which it has included the 5.8″ S8 panel in. If we consider the S8 and S8+ 20.5:1 ratio, a 4k panel on the Note8 would have 4428×2160 pixels with the on the screen button covering a hundred pixel or so itself on the bottom. Following the S8 resolution, Samsung could call it Ultra HD Plus (UHD+) or 4k+. There have been already many rumors about S8 as the coming 4k UHD with dual camera. However, they could have been referring to Note 8. Some reports say that it will house a pressure sensitive display which will be able to recognize what command the user is giving based on the level of pressure applied. The rear camera will have dual lens which will be able to capture clearer and vivid photos with more defined depth of field effect. Now that’s something we look forward to every time. It’s memory. The Note8 supposedly will come with 6 GB of RAM and up to 256GB of storage. The RAM part could be considered true because Samsung C9 Pro already sport 6GB RAM in the Chinese market and S8 is rumored to have a 6 GB version there as well, but we’ll look forward to 256 GB of storage to come true. It is expected that regular microSD card slot would be available. Check: Microsoft Surface Book 2 Release Date. On a side, an s-pen silo could be seen and regular 3.5 mm audio jack at the bottom with a sim/micro SD slot at the top and a dedicated Bixby button on the left below the volume button. At the front, we can get face scanning and selfie camera too. This is pretty much like S8 or what we know about the leaked tips and videos, so it will still be excited to see how Samsung will manage to implant the 6.4″ 4k infinity display of note 8. The regular home button would be gone. You could see those mysterious perforations at the lower bezel as well as the top and on the bottom. It could be possible that Samsung is trying to employ some new funky surround sound setup as it has bought Harman-Kardon and partnered with AKG for audio. Let’s see what’s more is to come in Samsung’s high end phablet. It is expected to arrive in the last quarter of 2017, probably in the month of September as its predecessors have been released in the same time around. It is predicted to be released in August 2017 ahead of the Apple’s new iPhones’ launch which usually takes place in early September every year. In another news, Apple is expected to launch three smartphones in a single year this time. It will be the first time for it to do so. The upcoming Note devices have been codenamed as Dream and Dream 2, of which the latter is for the smaller smartphones. The displays are curved down at the right and left sides of the smartphones. The larger displays could be linked with bezel less design with the future device. Probably, there won’t be enough space to place the Samsung logo on the front of the device as the compnay usually does. The top and bottom bezel are also extremely small, that forced the fingerprint sensor to be placed on the back side of the phone. The samsung has got another opportunity after Note 7 to stand its name once again. Both the models will be launched with dual-edge curved displays. It means that there won’t be any flatscreen model for the coming Samsung Note 8 smartphone. The price of Note8 will fall in the close proximity of predecessors. However, we will the update as we get to know more details regarding the phone. Stay tuned to The Reporter Times for latest phones’ news and all other tech updates around the world.